The last time the Lipscomb men’s basketball team took the court, it was for the school’s NCAA tournament debut against powerhouse North Carolina. Center Ahsan Asadullah was forced to watch that game on the bench while rehabbing an ACL injury. But on Tuesday night, the 6-foot-9 big man made his presence felt by leading the Bisons with 26 points in a 97-53 drubbing of Division-III Sewanee at Allen Arena. The Tigers more closely resembled a strong high school squad than a college team and were simply outmatched from the beginning, despite Lipscomb not being at its best. Asadullah admirably filled in for Rob Marberry, who missed the game due to a hand injury. It’s unclear when the senior forward will be back in action, which could pose a problem in next Thursday’s Battle of the Boulevard against rival Belmont. Asadullah missed the entirety of the 2017-18 season after tearing his ACL last fall, and he said he felt some nerves during warmups. But you wouldn’t have known that by watching his nearly-flawless performance. Following that block, Asadullah made his next 11 shots to finish 11-of-12 from the field. The 277-pounder made for an intimating presence in the low post and looked like a natural with his smooth moves to the bucket. If Asadullah can contribute consistently alongside Marberry and Eli Pepper, it’s not a stretch to think that Lipscomb may have one of the best frontcourts in the mid-major ranks. Another bright spot was the return of guard Nathan Moran, who has been out since March 2017 due to multiple hip surgeries. He chipped in six points after entering the game at the 16:41 mark of the first half to a chorus of cheers. 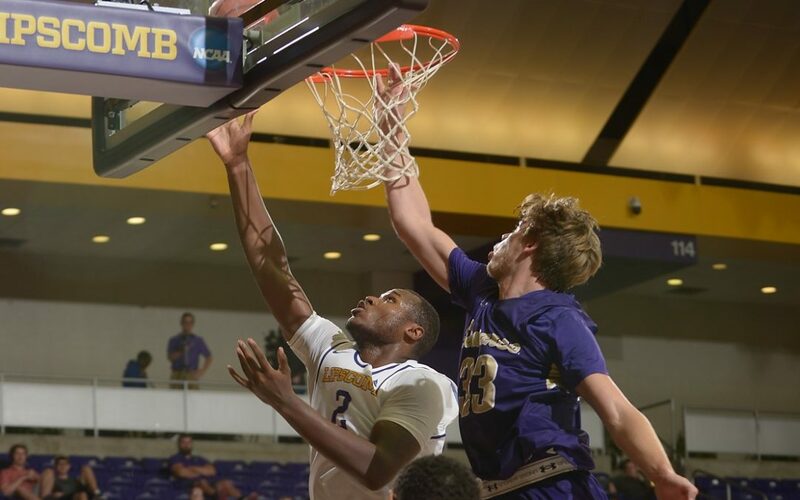 Lipscomb will quickly turn its attention to Tennessee State for Homecoming on Saturday. The Bisons emerged with a 95-86 victory in overtime last year, although TSU will be a completely different team under new head coach Brian Collins. With Asadullah and company in tow, the Bisons should be just fine this weekend.